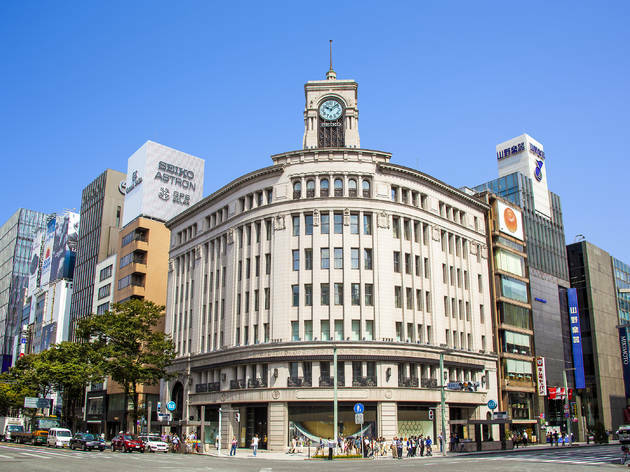 This prestigious speciality store is located on the corner of Ginza Yon-chome, across from Mitsukoshi. The building’s grand exterior – with its landmark clock tower – is matched only by the hushed ambience of the interior. As well as fine jewellery, porcelain and crystal, Wako sells designer apparel and accessories. 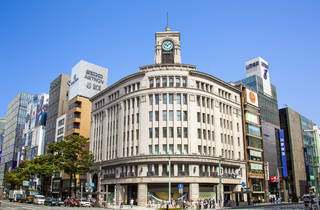 Ginza Station (Ginza, Hibiya, Marunouchi lines), exits A9, A10, B1.